Each one of us has felt the distinct impact of powerful life events , those kicks in the derriere that propel us out of our complacency and get us moving forward. These events may be originally difficult in nature but not always. Sometimes it is a change in your life’s situation like an addition to the family that shifts our focus and energy or it could be something that happens in the world rather than directly to you. Regardless of the nature of these event these can be so powerful in impact that they show up in our memory and recall like sharp spikes in our emotional charts. Whatever these particular events were, in many cases you can recall small details of what was happening in the moment of experiencing them. For instance, I recall what room I was in the moment I heard that John Lennon had been shot. I can also recall the birth of both my children with intense clarity around the joy and devotion I felt towards them the moment they were put into my arms the first time . The Lennon moment left me with the feeling that it was important to me to not take life lightly as we never know which breath could be our last and my children’s birth helped me focus my desire to be a strong person and cultivate the tools I needed to help them do the same as well. But then there are those other influential things… those quiet ones that creep into our subconscious and affect our thoughts and actions nearly subliminally. These we rarely can recall clearly. Additionally, we are barely aware that they are actually affecting us. The same goes for those people in our lives. Those folks that arrive quietly and establish themselves as guides and mentors with us barely being aware of it until we take the time to reflect on our growth since making their acquaintance. I have had the pleasure of experiencing 20/20 hindsight of this nature quite often. The name of this blog is “ripples” because it seems to me that these folks play a similar role that a small pebble breaking the surface of a pond does. A small act or single comment from them may break through our surface and assist us on a level deeper than our awareness and ripple out gently until the whole surface of who we are is affected. Many of the people who have had this kind of deep and lasting influence on me are people I could never fully explain to them or others just what that pebble was. Then there are those whom I can express in hindsight how valuable their presence has been along my journey. Many of these have also given me the honor of allowing me to photograph them for my personal projects. The most recent of these projects in my second divination deck called Mystic Journey which is a feminine empowerment and energy deck currently being developed. The intention I have for this deck is that it be a nurturing and healing tool and as such I am referencing some of the gifts and lessons I have received along my journey towards healing from depression to following my bliss and being true to myself. Recently I realized that I was actually involving many women in Mystic Journey as the models that have been influential in my healing through personal interaction and example. These stories need to be told. And they will. 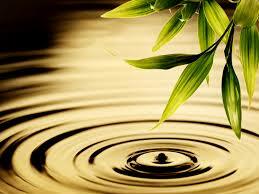 Aspects of the insights gained from my experiences revolving around quiet influence and ripples towards healing will be in the guidebook for Mystic Journey however the rest of the story has found a home in The Mystic Muse, my new monthly newsletter, as a column called Ripples, The women of Mystic Journey. This newsletter will only be available through email to my subscribers. Each month, I will feature a special female friend, mentor and guide and unveil the card in which she will be featured as well as tell the story of the gifts bestowed on me by her. This is my way of acknowledging my teachers and guides and their gentle influence. Honoring them will also allow me to honor myself and my healing journey. The thing I wish you to take away from this blog for yourself is that it is important to be aware of the ripple effects your deeds and words potentially have on others but also on yourself. Be gentle with your self talk and allow your guides to show you the path to your true self. Listen and be aware.